I Need a Job …Just ANY Job! One thing that irks me is the saying, “Earning money isn’t supposed to be fun.” Who says? Folks that are stuck in jobs they hate tend to come up with this kind of rationale in order to justify why they won’t try to move into something better or even better than this, start a business. This kind of deduction is a self-limiting belief that serves to lock such employees (and professionals) away and throw away the key. Do You Need to Change Your Job or Career? I can help you determine what you can do until you can match the income you are getting, and be able to do this on a consistent bases. Take this from my own experience… If you are in a job that you dislike, even hate, you should remain there until you can work something else out which is better. For the time being, you are going to have to do what you can in regards to how to make your work more interesting. I know is easier said than done, but you do have other options. Work for a different company that has a better environment. Get into an industry that you have passion for. Build a business revolving around your interests. I am not a proponent to employment unless it is something one enjoys doing and see it as a life’s work. Why I say this is because we spend a very significant amount of our lives in employment and if we are forced by circumstances to remain in, or even take, a job we hate, it causes all sorts of misery. While this is pure common sense, staying in a job until another has been secured, very often goes unheeded. 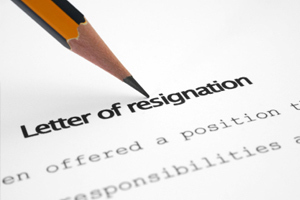 I myself have been guilty of quitting jobs without lining up another, and it can cause undesired results ranging from mild stress to loss of one’s home. If you are okay with the kind of work you are doing for a company, even if it isn’t the best suited for you, but you are very experienced with what you do, you should consider finding similar work if the current company you are working for is not desirable. At one time or another, most of us have had the unpleasant experience of working under a bovine boss or manager whose power has gone to their head. In some way, the environment you are working for is poisonous, either to your health, or to your mental health, even though the work itself is within your interests and something you like doing. Use your current job as a springboard and leverage off of it to get education if need be to move into the industry that you would be more happy with. You may enjoy the people you work with but most of your attention is on the work you are doing, not your co-workers. I’ve found it far more draining physically and mentally to try to so something I dread, and with all likelihood, so would you. Outside of not liking the environment you are in or the people in it, hating what you do accounts for far more of folks being disengaged with their jobs than anybody else. Nothing can be more rewarding and satisfying than to start a business that you enjoy and do what you love to do. You have control and are your own boss. You choose who will be in your team and set everything in motion the way YOU want it. One of the most lucrative and easiest type of business is the online variety. Today, starting a business doesn’t require tens of thousands of dollars to do. This is the type of business I recommend. Doing this first can lead to great rewards and when the momentum has been achieved, big business and investing are sure upgrades! To build an online (or any) business, requires hard work, patience, sustained effort and tenacity. Though this sounds difficult, it is … only for the faint at heart. Most folks with average intelligence can do this with the right education. My assessment from years of experience with online training programs, Wealthy Affiliate University tops off as the very best you will find on the Internet for the education you need to build an online business. Please see my review on Wealthy Affiliate by clicking here or the image below. Which Types of Income Do You Have? Warning: Do NOT click the image until you’ve read this review! PRO #1 Offers software that does all the research legwork for you. PRO #2 Is purported to work very well finding the initial research. PRO #3 It is a low-cost one-time cost of $34. PRO #4 You can click away from the sales page and it will discount the cost to $24! CON #2 Reported to be extremely hard to keep links on Wiki pages for very long. Con #3 Some users of Wikipedia have been banned for using these tactics. Con #5 Users report software breakdowns, indicating that there are coding errors in it. 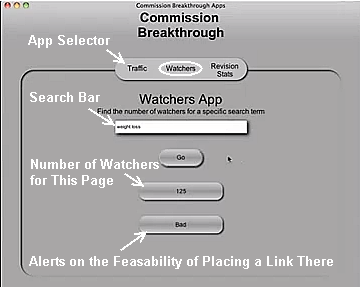 Who is Commission Breakthrough For? 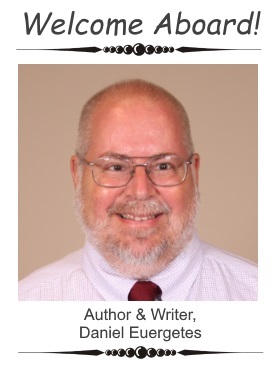 The opening “Webinar” targets folks who are struggling with jobs they disdain and for a “few select” opportunity-seekers who are tired of article-writing, social media marketing, ezine marketing, etc. The pervading theme of the webinar is that the owners/authors of this software are threatened by other millionaires that if they were to voice concerns about scams nor turn a blind eye from them, they will be shut down. Anybody who wishes to keep their work online, making money down to a “push-button” level could possibly benefit from this software. Video on how to set up the website: This comes with two options. In option #1, you let Bruce K take care of all the legwork. 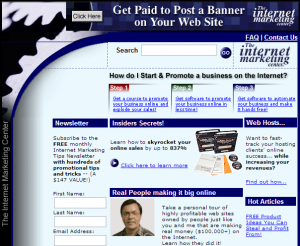 He sets up the website for you and sets you up with a hosting company called “BrainHost.” This is purported to be less than $10/month and comes with $250 worth of free advertising credits. In option #2, designed to make #1 more attractive, you will not get a .com website as you would in the first option. You will need to build and upload the site manually. Note that your site “will be a subdomain of another site!” The site will take longer to load and there will be no free advertising credits. This being said, the prospect is strongly encouraged to take the first option making this a “smart investment.” Please note the screen shot of the options above, this section. This is a capture of the upper portion of the tables showing the benefits of each option. Under this section, you must select your niches. The software does NOT do this for you. So you do have some legwork to do. What you do is plug your information into the software and it returns its forecasts to you on how viable or not this selection would be. For the keyword research, you must download the Niche-Finder. I am not sure if this is an added cost. The software returns how many people are reading the sources, and then provides traffic data, scores. You are given a button from which you can select the time frame. It is a no-brainer that the traffic source is going to be Wikepedia. Here you edit the selected Wiki page and enter your affiliate link, which soon gets deleted. Here you are given two parts, one to show you how to sign up to Clickbank, and the other, which products NOT to promote. It provides a few easy steps on how to do this. Watch a provided video on how to fill your site with quality content. Here you are encouraged to give your prospects information through which they can learn about the product you are promoting. The final phase of the process of building out the website and takes the user through a series of steps and proven methods on how to bring traffic to the site. This is the make-or-break part of the process and the easiest to fail at. to counteract these issues, Commission Breakthrough provides a question-and-answer panel for those who get stuck in the process. 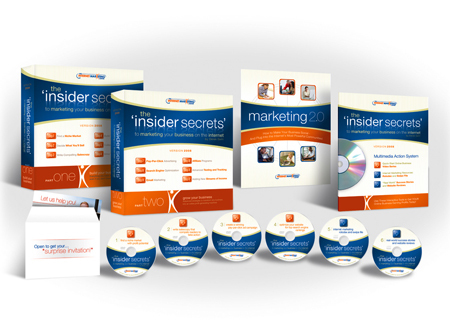 This additional software can be had for $197 and is designed to bring those who purchase it to unprecedented traffic and profit levels not enjoyed by those who decide not to purchase it. Here you can manage all of your campaigns easily, saving hours of work doing this manually. This option brings users to even more upsells. 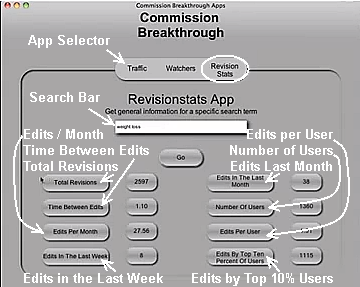 This is a brief look inside CB’s applications which include, Traffic, Watchers & Revision Stats. 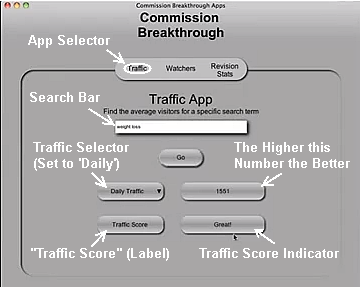 In this screenshot (right) we have the Traffic App. Here the user types in the niche he/she would like to analyze. In the example here, weight loss was chosen and the user then depresses the magic button for final results. The software then, searches for the appropriate page in Wikipedia and spits out the data. The first indicates how many people use this page per daily, weekly or monthly. The button to the left of this first number allows you to select which setting to have it on. 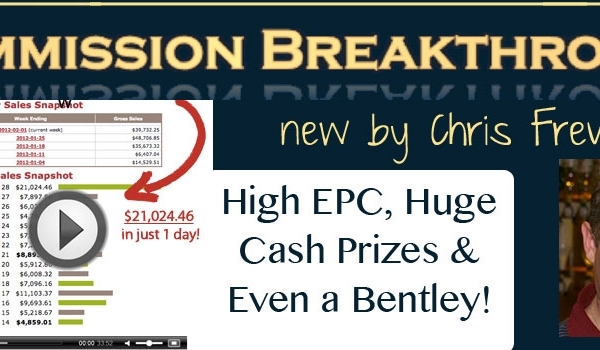 This is where we begin to see the darker side of Commission Breakthrough Program itself. The Watchers App indicates how often folks come onto the Wikipedia page to scrutinize it for foul play or any changes which they feel is not beneficial for the article. It is designed to snoop for this info and return the data to the user. What this means is that having a link on this one is deemed futile. Knowing affiliate links being placed on these pages is frowned upon, the owner of this company had this software made so folks using it can determine which ones have the lowest number of watchers possible. Some people using Commission Breakthrough have been banned from Wikipedia for this abuse. This snooping app provides the user anything he/she would like to know about how often the article has been edited in the last month, the last week, by how many users, how long the mean time is from edit to edit, and even the number of edits done by the top ten percent of account holders! In this case, all the numbers of edits and members doing the editing is said to be too high, making this page a poor choice for dumping links. The software is said by some, to be quite accurate, others reporting errors. It is true a very few individuals have, with a lot of work on their part and persistence in replacing links that have been deleted, to do fairly well with it. I put this extra section in here because I came across this report shown when this product was relaunched last year. The information in here is, in my opinion, full of hype. These are two full-sized screenshots. The company does have an affiliate program, and though I’m not all out to promote the software, I’ve included the link so anyone after having read this review, can purchase if they so desire. The link can be found below and in the top image. Ironically, the number of “happy affiliates” for this product is zilch. There is a void just under the report in the website where this came from, between it and the subheading introducing Reason #2. From recent research, I have not found many affiliates actively promoting this, though there might very well be. Each member is send an email to the owner reporting their progress and performance of the software. Whether these emails are actually addressed by the owners or not is not known. This could possibly be the case, which makes it more personal. Is there a community, forum, personal support, do the owners support it. What is this product worth? Mr. Kelly puts a grand figure of $699 per month on it. However, Kelly knows that very few can afford this kind of hard cash so he offers it altruistically at $34 per member. This is a one-time cost. There may be hosting charges that come into play here as during the webinar, new members get hosting for 60 days free. There are upsells involved with this product. All of them are optional. You can choose Option #1 and get hosting for free, however, your campaign(s) will contain advertisements designed to cover the costs of hosting. 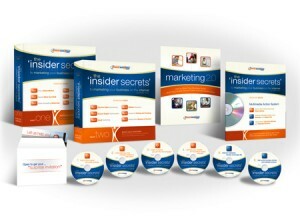 By getting the edge on most other members, you can purchase the Commission Breakthrough SuperSoftware program for $197. Right from the get-go, upon watching the “Webinar,” I could smell a scam! While the video provides great reasons for folks to get online and start online businesses, it is also filled with urgent calls to action, purporting that only a limited number of members can exist in order to remain “under-the-radar,” and being shut down by other wealthy gurus whom Mr Kelley has purportedly been in a meeting with. In this meeting, Mr. Kelly was warned not to disclose the operations involved with this product. 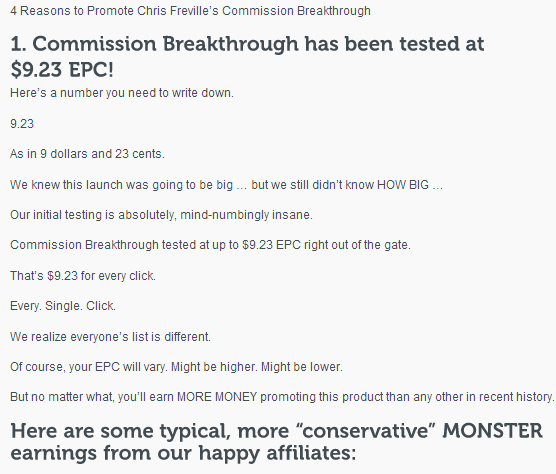 Commission Breakthrough is overwhelmingly riddled with negative reviews and complaints. There are only a very small handful of positive reviews associated with this product. If you think you can work this product, as a few have, here’s the link. You can also click on the image above. 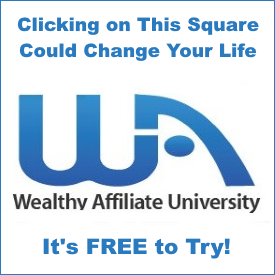 Please compare this Review with my Review on Wealthy Affiliate and you will see for yourself why WA is the best training platform you will ever find on the Internet at any price. I say this because the owner is pushing this product knowing that Wikipedia does not welcome unrestrained placement of affiliate links on its pages. The only folks making money with this product, for the most part, is the owner, Bruce Kelly and perhaps his team. Evidently there are a small few who are doing fairly well with it, but it is not known what measures these folks must take to maintain operations. Can It Be Done? You Bet It Can! To begin with, this website is about affiliate marketing and how this business model can literally take you places out of this world as you know it! There are literally hundreds of thousands of people who are fed-up with the jobs they have and the unprecedented stress that comes with it. Every day, thousands of people get the axe, for no apparent reason. These come anywhere from being laid-off to outright being fired for no apparent reason, just simply dismissed without warning. Note that, to remain in good standing with the company and to avoid a black mark in employment histories, the employee is required by most companies to provide a six-week notice. Compare with the statement in the box just below. This is due to an enactment created in 1877 and quickly adopted by all states, known as the infamous and dreaded “At Will” Employment Policy. 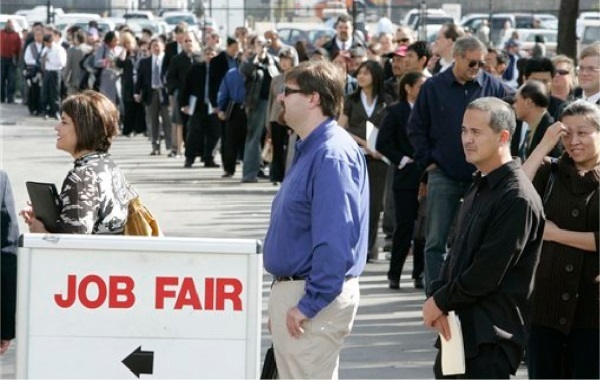 Today, employers from coast to coast heavily rely on this enactment. Most of the workforce doesn’t even know of its existence and find out they have no leg to stand on when disputing the divorcement from their job position, sending them into untold frenzies, broken homes, total ruin! There’s far better ways to derive an income. Why work your entire life in jobs? Why rely on such a dubious system, “wage-earning?” Why be a wage slave in a job you hate? Don’t be an employee. Be an entrepreneur. All it takes is a change in the way you are thinking. It is understood you need your job. Don’t quit until you are ready! I have, and that’s a bad decision. Employment is there when it is expedient and it is likely you will need it until you are ready to move into the next quadrant. No more stress! No more being shackled under corporate constraints and letting employment take the lion’s share away from you and you family! 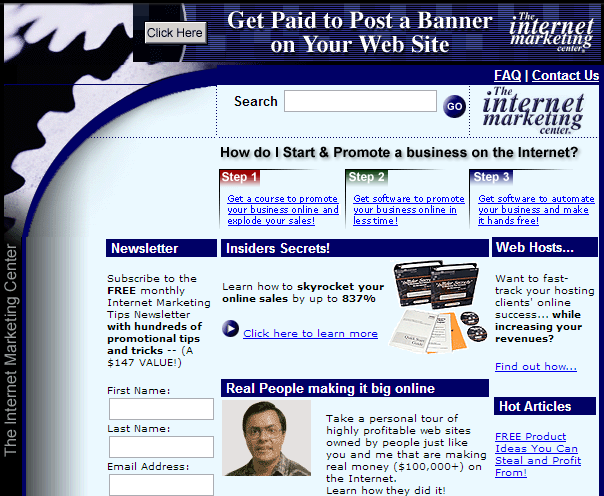 Affiliate Marketing Comprises the New Economy! This business model is most associated with online marketing and is responsible for changing many lives from working for money to having money work for them! The affiliate, in terms of marketing and trade, is simply a person or company that promotes for a company, which in turn, awards the affiliate in commission for each referral. Many companies, in lieu of cutting advertising costs, are trading off some of their profit to those willing to promote their products for them. These are called affiliate programs. There’s a program for everyone and they cover just about every interest and passion of those joining the programs. This is what makes these, not only lucrative, but fun to do as well because you choose which products and services you’d like to promote! These are usually joined for free (never join one which requires an up-front fee) but may come with certain criteria which the applicant must meet to be able to enter the program being offered. The affiliate is responsible for all the advertising and the campaigns behind them, but in many cases, an affiliate program provides pre-made banners, email templates and other promoting tools for the affiliates or associates to use in their campaigns. In many cases, they come with tutorials which teach the affiliate proven marketing methods that work for the company providing the program. Secret #1: Get educated. I don’t mean going to college, and this leads to the next point… What education? Secret #2: Don’t get your education from employees… Get it from entrepreneurs. Yes! This is very possible! Secret #3: Make sure that whatever you get into, it’s something you enjoy! Very important! Secret #4: Make sure that your training is very high quality, is up to date, and has very strong support systems. Secret #5: Believe in yourself. Sadly most people have self-limiting belief about how to earn income and that wealth & prosperity isn’t their cup of tea. What does it mean to trade time for dollars? It’s very likely you’ve heard this buzzword and maybe think it too fantastic. If you are working by the hour, or you derive a check by salary, you are trading your time for money. when you are not working, your income stops. You must, in most cases, report to work and give face time to your employer. There are many reasons why you should begin to assume control of your time. Given here are just a few. You are literally “renting” your time to your employer at pitifully low rates. Your employer is taking the lion’s share of your time, in the most prime of you day (for most people) and you go home tired, broke and enslaved. Employment is certainly “Income for Dummies” and should only be a matter of expedience until you can replace the income with something you enjoy doing. You simply take those concessions or you leave it. 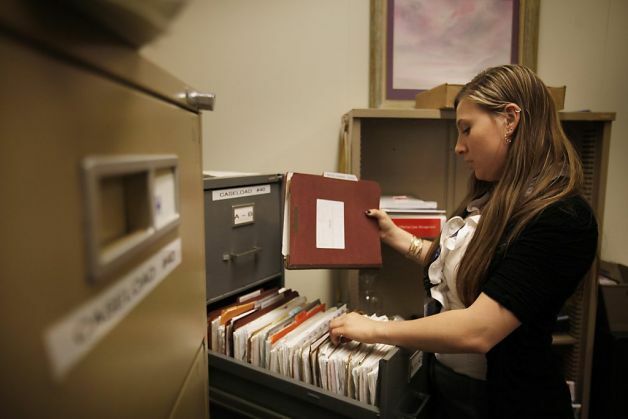 Your employer has no worries about you … there’s many more behind you willing to replace you. For most people, yes, that is correct. This Doesn’t Have to Be! I’m not saying you should go out and fire your boss or quit your job. That would be a stupid move as stated above. However, Take some of your free time and leverage that for extremely effective education that will enable you to get rid of the job you now have? Your time is far more valuable than you may think and are giving it all to your employer at bargain basement prices, and most likely it barely keeps you functional enough to keep you working with no end. On the contrary, if you are willing to learn a new industry, one in which you do need to put in personal effort to get anything out, you can position yourself for an income exceeding that of a brain surgeon. Exceeding the income of the President is not unheard of. There is another extremely prosperous economy going on under people’s noses. The good news is, the 10-day limit has been lifted! This means you can have learn for free for as long as you want and have access to the tools and resources a that level for as long as you want! Do not underestimate the value you get with this alone! However, you will want to join the Premium when you are ready. It has a lot more privileges with it. You can go to Mars or anyplace to your heart’s content. It’s all up to you! Let the entrepreneurship rub off on you and rise above the employment today!